217, Inc. offers Sewer and Drain Cleaning services in Champaign-Urbana and Surrounding Areas for Residential, Commercial, Industrial and Government / Municipalities. We offer hydro jetting services that can safely take care of most any clogged pipe or drain without any damage. Tree roots, grease, and other debris don’t stand a chance leaving your sewage free to flow just like it’s supposed to. If your sewer or drain is backed up call us today! 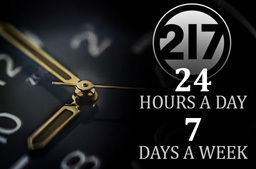 When your drains are running slow and your sewer is clogged, 217, Inc. can fix the problem without damaging pipes. Blockages can be carefully detected with a T.V. Camera Drain Inspection. Using high pressure Hydronic Jetting we can clear out tree roots and other debris from the sewage lines safely and effectively. A broken pipe can cause a lot of problems -don’t worry we’re here to help. 217, Inc. offers a full line of pipe repair services. Whether it’s water or sewage we can help! 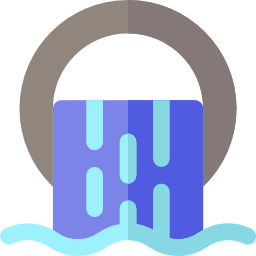 Unlike the use of cables and snakes to clean a clog from a pipe, hydro jetting utilizes small amounts of water at very high pressure to break the clog from the walls of the pipe. This can allow the pipe to go back to it’s actual shape in cases where the clog has actually deformed/swollen the pipe. Not only are the walls clean and undamaged, but the clog is broken down and safely removed. You need it dug; we can dig it! We have the tools, the backhoe and expertise to get your next excavation job done right. Need a sewage line replaced or repaired? Sump pit Our excavating services cover most any need -call us today to find out how we can help you with your next big project. Pipe bursting and fresh installations. We are ready to help you whether you need a new sewer line installed or an existing one fixed. We offer trenchless sewer repair services which is much cleaner and makes digging up the pipes length of the yard unnecessary. Plumbing emergencies happen and when they do, they need to be handled quick to avoid water damage or worse, backed up sewage! Backed up water and sewage doesn’t wait for convenient business hours and neither do we! If you have a Sewage or Drain Emergency call us anytime day or night and we will help as soon as possible! Question: What is hydro jetting and when should it be used? Answer: A substantial clog in your sewage line may require professional help or even a line replacement. However, sewer jet blasting can be a very effective way for drain cleaning, no matter where the blockage is. Basically, a strong spray of pressurized water is pumped through your home’s plumbing, breaking up clogs and leaving pipes flowing freely. We have attached a picture for your reference to show you how it works! If you didn’t already see, 217, Inc. has a BRAND NEW Sewer Jetter ready to help you in any clogged drain situation! Don’t hesitate to call us today to speed up your life, by unclogging as slow moving drain! Question: How did I even get tree roots in my sewage line? Answer: Tree roots are naturally attracted to water. Your drain line is not only a great source of water, but also nutrients that tree roots can thrive on. Roots need a very small crevice to sneak into your drain line where they can grow, prosper, and cause home owners big headaches. Root masses quickly become clogged with toilet tissue, grease and other debris flowing from your home to the main sewer, this results in reduced flow, slow running drains and in most cases a complete blockage which can cause other drains in your home to backup. Call us at 217, Inc. to take care of an existing root problem or to help you prevent and protect against potential root problems. Sign up for annual clean out and tv camera-ing of your sewer lines to not only prevent backups, but also to be proactive against pesky tree roots invading your lines! Catching an issue early can save a lot of money and prevent the need for underground pipe repair services. Our sewer and drain cleaning services are locally owned and operated in the Champaign-Urbana area. We care about our community and are here to help! If you have a clogged pipe, need a late night pipe repair or even need emergency sewer or drain cleaning services we are here -any time, day or night! 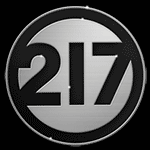 You’re in good hands with 217, Inc. If you have a plumbing emergency give us a call and we will be there as soon as possible! Learn more about our other commercial and residential plumbing services.